Nemrut Volcano Eyes competition winners revealed! All information presented below (text, banners, video) can be used freely, without Bee Breeders' written permission, for any media bodies but only for purposes relating to the Nemrut Volcano Eyes competition. 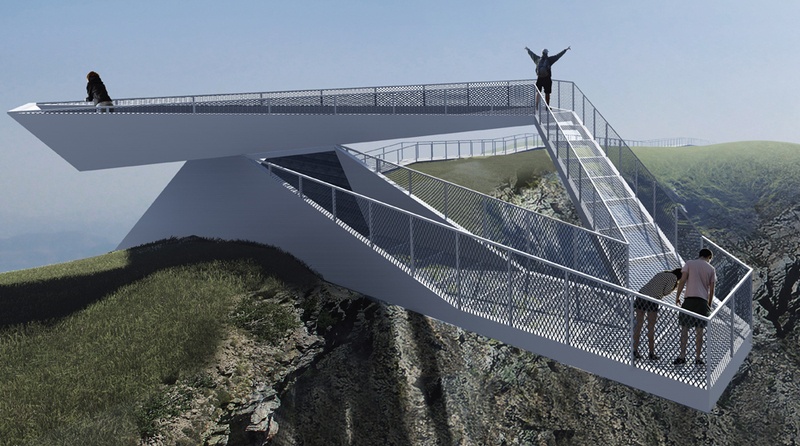 The Nemrut Volcano Eyes architecture competition tasked participants with envisioning a visitor observation platform to be constructed atop Nemrut, a volcano located in eastern Turkey. Given the site and limited access, submissions with cost-effective, environmentally-responsible and energy-efficient construction methods were viewed favorably. 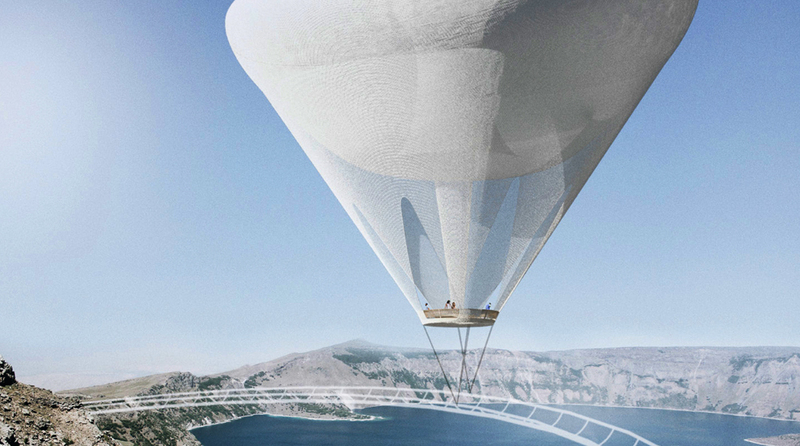 The winning project by Fernando Irizarry and Marcos Ortiz Gabriel Rivera from the University of Puerto Rico (the “Upservatory”) considers the viewing station as a mobile, 20m²-circular platform elevated into the air by a hot air balloon with an asymmetrical form. 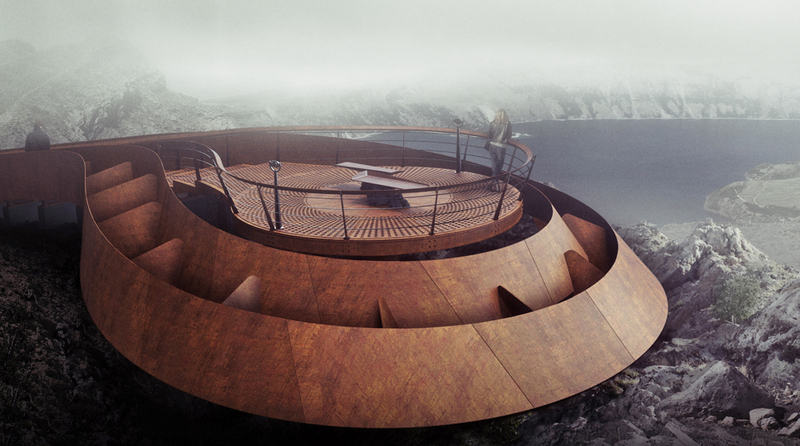 Following a rollercoaster-like track, the mobile observatory would provide visitors with a number of breaktaking views over the caldera.